Getting your ducks in a row and having everything handled before leaving. 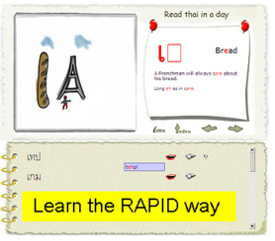 There are hundreds of Thai language schools in Thailand which offer a variety of Thai language courses, including for absolute beginners, and if you’re interested in studying Thai more “professionally” and enroll in a one-year Thai course (with a minimum of 180 hours) you’ll also be able to apply for a one-year Thai “student visa” (or Education Visa, ED visa.) But there are also other things you can study to get your ED visa as well as you will see below. Making the move to a new country? Are you getting to the point where you have more things to do then time to do them? If you live outside the United States, you should understand how your Medicare is affected and should make decisions about your enrollment in Medicare. Was the Housing Crisis of 2008 Foreseeable and Is It Repeatable? I worry about my RIPpers retirement future. Is your future or current retirement funds safe? Are you bring gold or thinking of buying it while in Thailand? The perfect storm is brewing. What will you do and how will you protect your assets if there is a major financial crisis? Have you already hoarded some gold and wonder about traveling with it? Death is not an easy subject to discuss. But something that is a necessity to understand when living in a different country than your country of citizenship.